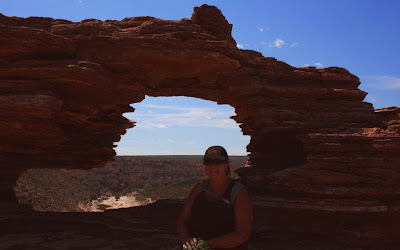 Kalbarri was the first town I have come along on our Aussie Adventure that I have thought I could live there. It had a really good feel about it and nice and quiet. Although I would think in the middle of any holiday season it would be a lot busier. While in Kalbarri we visited the Kalbarri National Park. The highlight of our visit was getting to Natures Window. It was only a 500mtr walk but the walking path is situated down in a gully and I must say it is the hottest most exhausting 500mtr I have ever walked. In the Summer the temperature can reach 50c. The day we were there I would say it would have to say the temperature would have been around 44c. As the walk was along a nice flat path we both had now worries about seeing the Natures Window, until we got to the end of the path. All of a sudden you had to climb over the rocks and around the bend where you where on the edge of the cliff with no hand rail. Needless to say Shane didn't go any further because he hates heights. It took me a while but I finally got there. 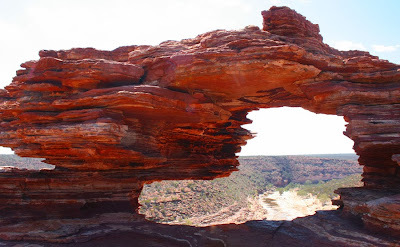 It was worth all the adrenalin pumping through my body when I saw this amazing natural rock formation. 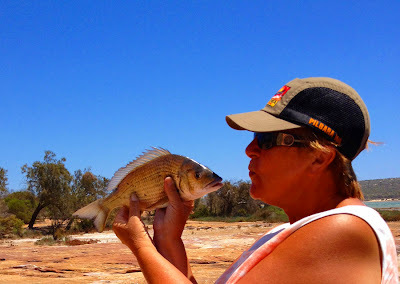 Our last day in Karratha was pretty quiet, the only thing we really did was do a bit of fishing at the beginning of the Macquarie River. It was a little windy but quite a nice spot to throw a line in. Shane caught a Cod and a Yellow tail, but they were both under size. 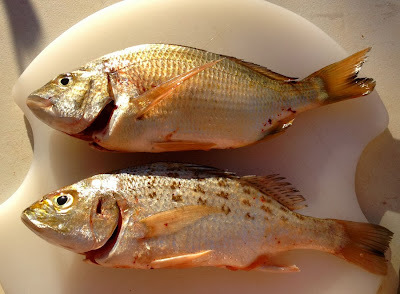 So the girls won again on this fishing expedition, as I caught two Bream. I had never caught Bream before, they certainly fight fairly hard. So I came home feeling pretty happy with myself. As normal our last night in any location we go out for dinner. This time we went to the pub and had a lovely meal with another nice couple we have met - Wendy and Mick from Busselton. The next morning we left Kalbarri, but it is one place I'm sure I will be back to. 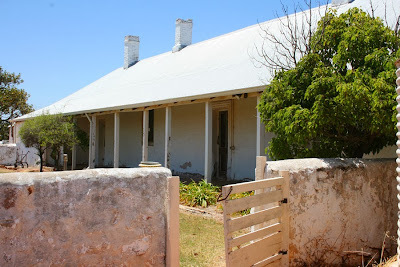 About half way between Kalbarri and Geraldton we stopped off at a homestead in Northampton. 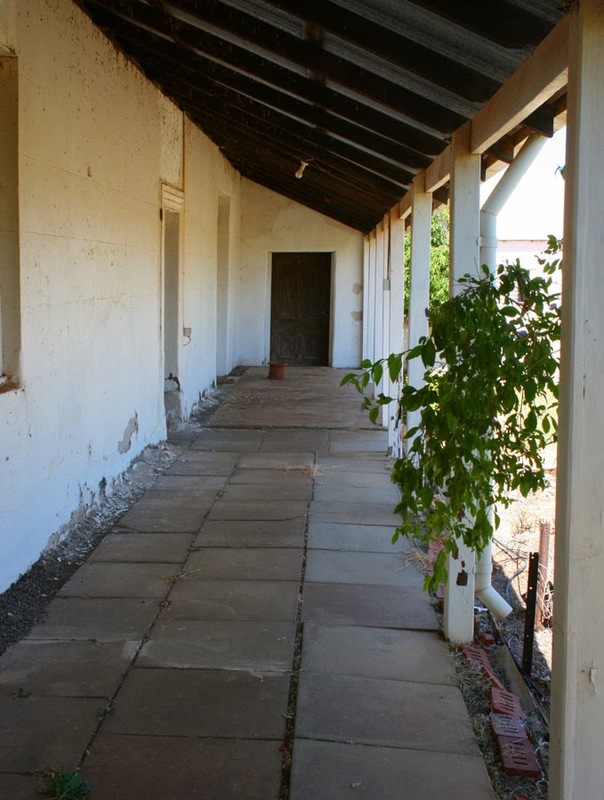 The property of Oakabella Homestead is no longer a working property but had the title of arguably being the most haunted house in Western Australia and Australia's 5th most haunted location. This charming 1860's heritage listed, beautifully restored homestead together with it's original unique barn and restored shearing shed sits on 1,000 acres of lush farmland. As well as doing a tour of the property we had a delicious brunch of scones, jam and cream. Even though we didn't see any ghosts some of the rooms in the homestead had a feeling that all wasn't right within the walls. 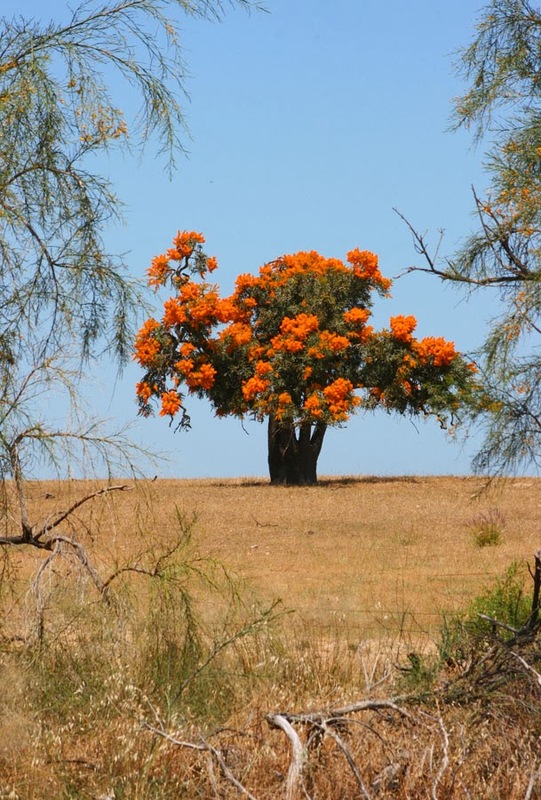 Mother Nature just gets it right doesn't she?